The Jeep Grand Cherokee 4.0-liter engine is the best selling engine for Chrysler since its takeover from AMC in 1987. Many of the newer transmissions are electronically controlled. The 42RE is a 5-speed transmission and includes the automatic overdrive system. This Jeep transmission is one of the most popular and often what you find for sale on auction websites. One of the issues with auction websites is that these transmissions cannot be verified for quality. Buying something that is untested is how investments can be wasted. We can offer you the lowest Jeep Grand Cherokee 42RE transmissions for sale pricing on the Internet. What we have in our inventory is both used and our expertly rebuilt versions. We are one of the largest Jeep transmissions dealers in the U.S. We sell and ship transmissions for every Jeep engine that is currently in production and many of the models that are no longer in production. Our clientele includes salvage yards, warranty service companies and mechanics that want to impress customers with an affordable transmission. You don’t have to worry about the condition of any of our used transmissions. These are directly removed from operational Jeeps and are cleaned and tested by our transmission experts. We always sell quality gearboxes here. All of our transmission assemblies that come into our warehouse for a rebuild are cleaned first. We believe that cleaning each and every part is what can add a few extra years to a used transmission. The oil and sludge that can gum up the parts is one of the causes of a breakdown. Gear slippage and breakage happen more frequently with a Jeep 42RE transmission that has never been serviced correctly. We know the work that we do will be reflected on our customers. We don’t want to make any mechanics or other automotive professional look bad by selling complete junk. 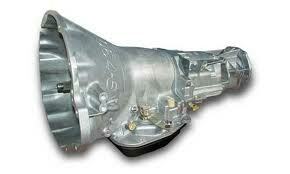 All precautions are taken to offer very clean and very functional transmissions from our inventory. We don’t have a quick look inside of a Jeep transmission and confirm that it is ready for sale. We go further. We test each part, spin the gears and make sure everything inside is mechanically correct. Transmissions are not perfect. They are built by real people on assembly lines all over the U.S., Canada and Mexico. We evaluate the work of other people on a daily basis and correct problems if we find any. Our reputation is put into the skilled hands of our transmission rebuilders and so far we have never had any complaints. We know how to clean and rebuild Jeep transmissions to make them just like a new one again.